This Polo neck t-shirt Lightweight Coolon jersey comprises polo neck with short sleeves, indi_blue color Cross stripes check solid plain and a patch pocket at the chest. This shirt is functional fabrics was used. Functional Sportswear - Golf, tennis, badminton, climbing, cycling, jogging, fitness, marathon, bike, volleyball, football, etc. .. Enjoy the innovative performance of coolon. This product is "Coolon" fabrics used. Moisture absorption and quick-drying fuctional fabric developed by Kolon Co. Ltd. Appropriate for sports and leisure wear. Functional t-shirts which is suitable for everyday clothes as well as sports and leisure. You have to order by US size. 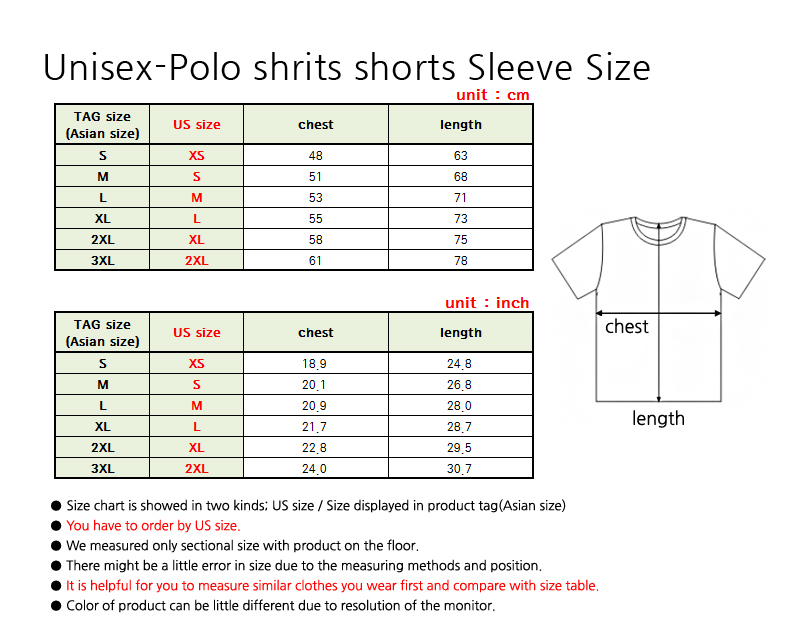 Various options of size (XS~2XL) and colors. It is unisex; can be wore as couple costume. Subscribe to our weekly newsletter and receive information about the latest Products! © 2019 Bcpolo. All Rights Reserved.